If your site is steep or wet, if it has access problems or is environmentally, ecologically or archaeologically sensitive, horse powered timber extraction is the answer. One site I worked was a Local Nature Reserve surrounded by flats and houses and including a precious Bronze-Iron Age enclosure. 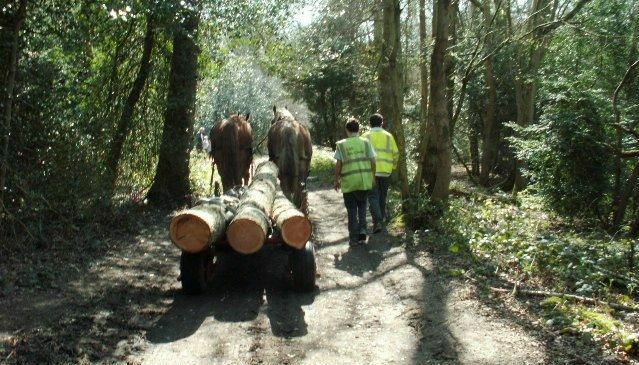 The use of horses to extract many tonnes of timber solved all the difficulties of access and conservation. Horses powered timber extraction is also great for public relations and for turning away the wrath of those who deplore the loss of any tree but who will listen to a man with a horse more readily than to a man with a tractor. Where machines are impossible, undesirable or uneconomic the horse may boldly go. One machine we do recommend for economic and ecological reasons is a mobile saw-mill (Woodmizer LT40) which we can offer as a separate service or alongside horse-powered extraction. I have the NPTC City & Guilds Chainsaw Certificate, qualifying me to undertake felling work. 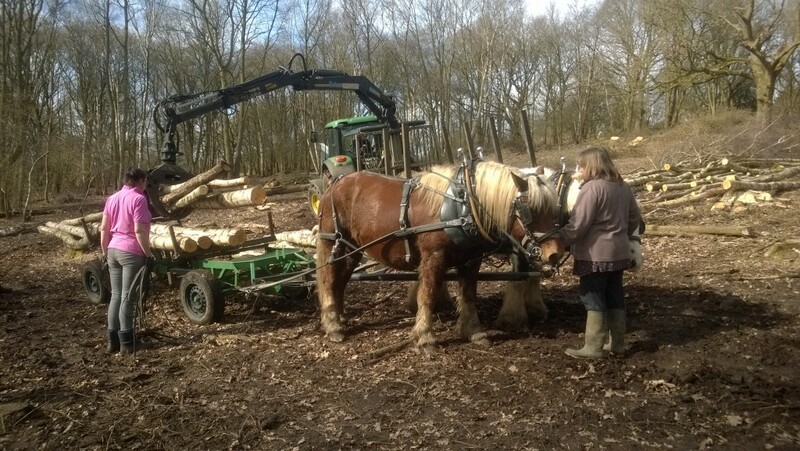 For horse powered timber extraction, please contact me for prices and further information.